Thanks again Lefty! Christmas will be much more like home with this as part of the Christmas cheese platter! After downloading and listening to the two versions of this recording, I can tell you with some certainty that the two releases are the same recordings but the 1971 Boot Records version has a different, more clearer, mix from the 1970 Dominion Records version. The '71 version brings Tom's vocal more to the front and has added echo compared to the '70. Both are interesting in there own right, but the later version would have been regarded as more state of the art for the time. There may have been a new re-mastering of this for a CD release in the 1990's. 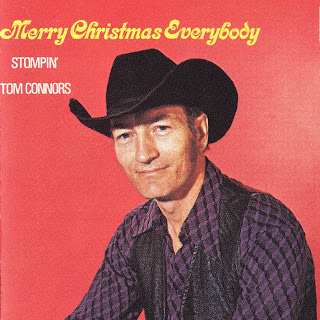 Wow, thanks so much for the sharing you've done here - don messer, stompin' tom etc. You've done a real service to the old stars of CBC radio and TV. Now if I could only get a hold of some decent vintage Tommy Hunter I'd really be happy! This link has expired; any chance for a re-up? Would make a great addition to my Christmas mix this year!